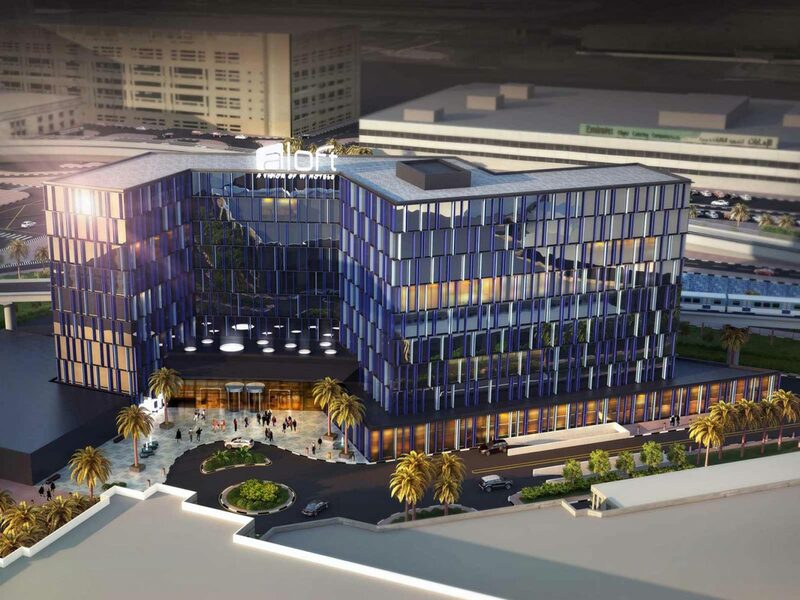 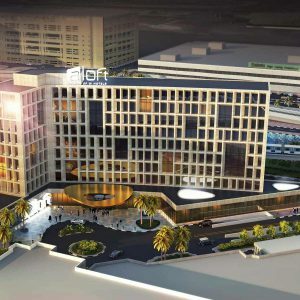 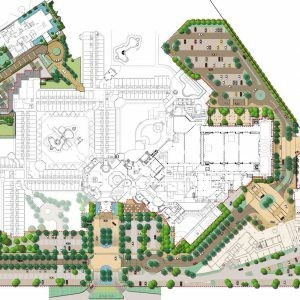 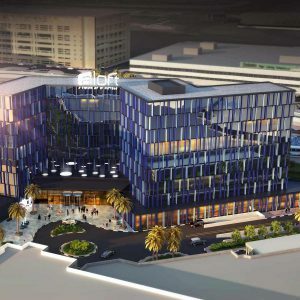 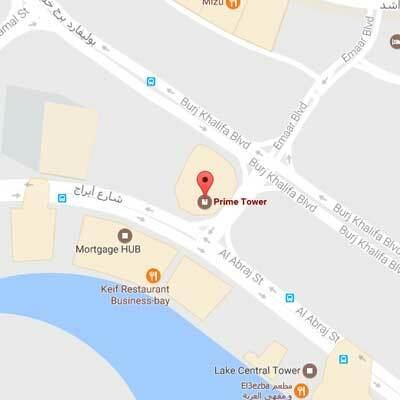 As part of a master plan redevelopment, the concept design for an Aloft hotel foresees to densify an existing hotel site close to Dubai airport. 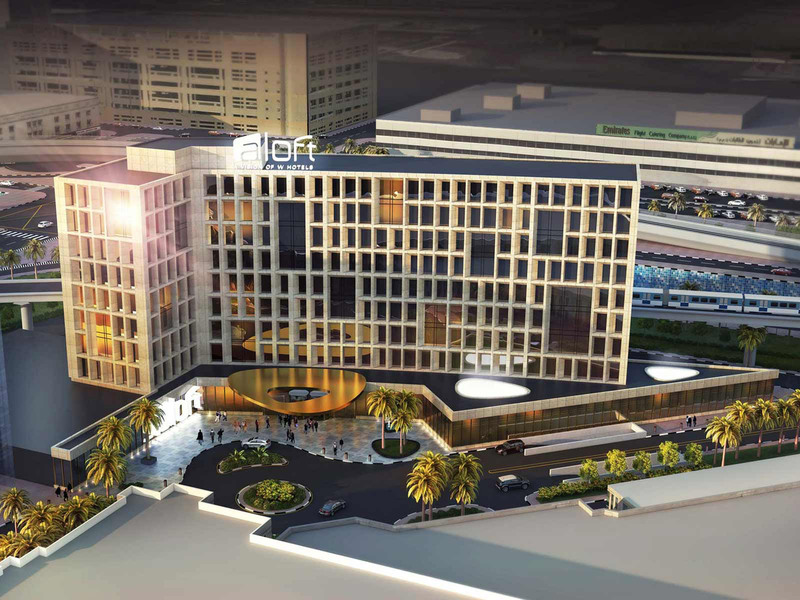 Catering to the next generation of travelers who crave jet-setting style and vibrant social scene at a competitive price the new 2B+G+8, 250+ keys, 28,000sqm BUA hotel was located towards the nearby intersection and parallel to the metro line. 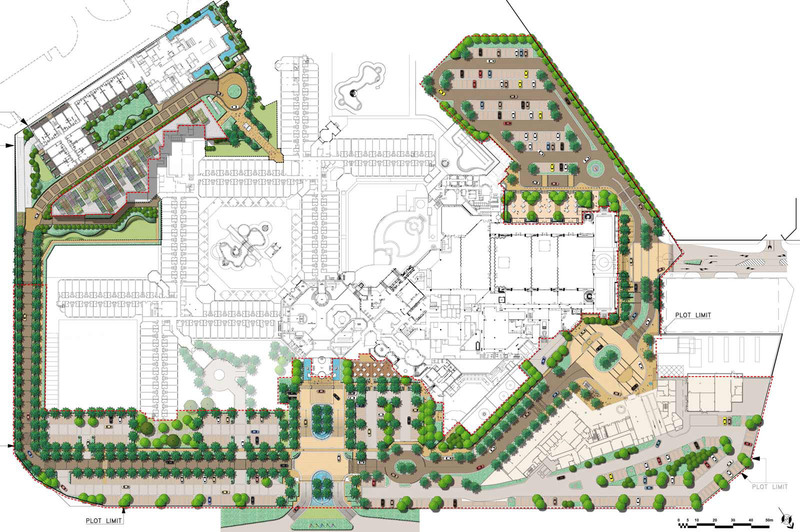 The exposed location provides unlimited advertisement opportunities, but also required special acoustic treatment of the façade.